Our Ex-students’ Association promotes the interests of Northcote High School and is a way for past students to stay in touch with other students and teachers. The Northcote High Ex-students’ Association has around 500 members and warmly welcomes all ex-students and staff to join. Membership entitles you to access information about Northcote High School, a copy of our annual Ripples magazine, and invitations to the reunion day and other school events. The Northcote High School Past Students Register lists the names and details of Northcote High School’s ex-students. The information is from a variety of sources and there may be variations in the details supplied. Information is not provided on all students. Our past students have excelled in a wide range of fields, including science, the arts, politics, sport and research. See History to learn more about some of our past students’ achievements. To join the association or to add new information to the register, contact Kate Challis on 9488 2300 or email Kate Challis. Sir William Cole passed away on January 8th at 92 years of age. He attended NHS from 1934-1940. He served in the RAAF during WWII and later graduated with a Bachelor of Commerce First Honours from University of Melbourne. He became a Federal public servant of several Departments – Supply, International Monetary Fund in Washington, Bureau of Transport Economics, and, later, Finance. From 1978 to 1983 Sir William was Chairman of the Public Service Board. He was knighted by the Queen for his services to the nation. The Association extends its deepest sympathy to Lady Cole and family. 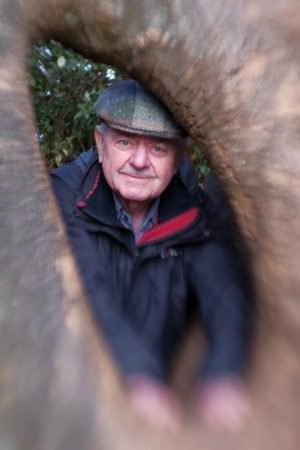 Michael Cuthbert passed away in January after a long illness. He joined the staff in 1988 as a teacher of woodwork/ technology studies and art. For many years he served as a level coordinator of students in junior years and was highly regarded for his fairness in his dealings with the pupils and support of staff. Our sincere condolences are extended to his wife and family. George Zafiropoulos completed his service as Head of School cleaning until 2002 having joined the cleaning staff in the late 1970s. He passed away in February of this year. George was a most reliable and hard working staff member who took great pride in his work. The superb surface of the Gymnasium floor was a tribute to his skills and watchful eye. The fine state of school facilities was very much due to his dedication. Condolences are extended to his wife Maria, son John and the family. 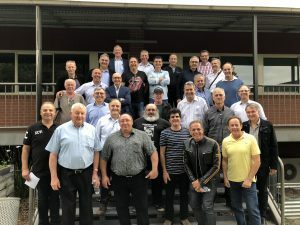 Reunion of the Class of 1978 held on November 27th was a conspicuous success with a large group of the “lads” in attendance. They, of course, were students when NHS was an all boys’ school. Many had not been back since they graduated and were able to enjoy a tour of the School of 2018 and an address by their former Level Coordinator, Gary Israel. There was happy talk and discussion over pizzas and drinks. Then it was time to head off to the Peacock Hotel for several more hours of reminiscence. Thanks go to Dino Cellini and John Iliadis for organising the event and to Kate Challis of the School staff for all her help. Passing of Peter McAlley – Peter passed away on Nov.15th this year having attended the School in the 1960s and teaching in TAFE Colleges. Sincere sympathy is expressed to his wife Helen and family. Ex-students regularly contact the School and, most recently, John Fahey has reconnected. He attended the School 1968 to 1974. After School he joined the British Royal Regiment of Fusiliers, returning to Australia in 1978 and continuing his military career in the Australian Army as a reservist, ultimately achieving the rank of Major. His employment was varied; intensive care ambulance officer, Federal public servant and general manager of his own medical education and training company, Cynergex. This company now successfully operates in the three Eastern states. John’s academic studies are also many and varied with qualifications in paramedical science, a BA (Hons) from Deakin and a PhD from Sydney Uni . He holds a Fellowship at Macquarie University, has written articles and manuals for emergency medicine and books on military subjects. We congratulate John on his most interesting career and hope to see him at one of the lunches. Annual Lunch Class of 1948 recently at the Old English Hotel was another success. It was good to see so many familiar faces and to have the Principal, Sue Harrap, in attendance. Frank Phillips was there and we discovered he has an Order of Australia for his work in the oil industry. Congratulations Frank. Thanks go to John Hines for his excellent organisation of the day. The lunch will continue under School auspices. The Death of David Kratz on October 5th this year, former long serving teacher, is noted with sadness. David joined the staff around 1968-1969. He was immediately faced by the divisive and prolonged teacher strike of 1969. He was a long serving teacher of English, in which subject he stressed debating and public speaking to help students of migrant background improve their skills. Over many years he coordinated middle school year levels, being responsible for the welfare and discipline of students at these levels. He ensured that students followed the rules of good behavior and was tireless in following up any mischief. Some students referred to him as “Detective Kratz” for his ability to get to the bottom of any “incidents”. He always professionally supported young staff members to come to grips with the realities of school life and many depended on him in their first years of teaching. In later years David was responsible for daily organization where his flair for administration and close attention to detail ensured an efficient operation for the whole school which was appreciated by all. He departed NHS in 1993 for world travels settling in Northern Scotland and teaching at a girls’ school there. He travelled much and pursued his interest in photography. He will be missed by friends and colleagues alike. Deepest sympathy is extended by the Association to David’s wife Leng. Best wishes are extended to Bruce Campbell, Head Prefect of 1948, who is not well at present. Bruce has been a tower of strength to the Association over many years and is an ongoing loyal supporter of his old school. Get well Bruce! He will be missed at the annual lunch on October 31st at 12 noon of the Class of 1948. This will be held at the Old England Hotel Heidelberg Rd Ivanhoe. All welcome! Congratulations to Ex-student James Liotta (Class of 2000, Deputy School Captain 2000). James directed the 1999 and 2000 successful school productions and returned the following year in a paid position to continue this work. He completed a Diploma of Drama and Community Theatre at NMIT. James has spent the last 18 years working in performing arts on television, on stage and radio, becoming well known across Australia as an MC, actor and comedian. He appeared in Underbelly, Neighbours, Thank God You’re Here, Upper Middle Bogan, Satisfaction and Prank Patrol to name but a few. He regularly pops up acting in advertisements. His comedic work often has an ethnic twist based on his Italian background. He worked closely with Joe Avati on his national tour and has nationally toured his own sell out show recently. He is in much demand as an MC for festivals and weddings etc. He co-produced shows for Channel 9 in 2014 and won the Victorian Government Excellence in Multicultural Arts Award. In 2012 he was named Actor of the Year in Sydney’s Star City Magazine. The Ex-student Association wishes James all the very best for continued success in his chosen field. The Annual ‘Back to’ Lunch was held on Tuesday 5 June with the Northern Polytechnic Restaurant well patronised by members and school staff. It was great to see many familiar faces and several new ones. The first address was delivered by the new and fifteenth principal of the School, Sue Harrap. She told those present of her early life and career progress and indicated strong support for the association. Sue was followed by ex-student (Class of 1955) Associate Professor Alex Lopata, who enchanted those present with a data show around his memories of days at Northcote High School. He spoke of his fond memories of Headmaster Mr Moodie and his wife Doris, of teachers and subjects and old school mates. It was a trip down memory lane. Alex went on to tell us a little of his work as a medical researcher being involved in the first IVF baby in Melbourne working in the team with Professor Karl Wood. Sincere thanks go to Sue Harrap for her support and encouragement and to Kate Challis and Assistant Principal, Jocelyn Hill for all their hard work to organise the lunch. Thanks too go to the Polytechnic Restaurant for looking after us so well. Hope to see you all next year and many thanks for your attendance. PS: the mystery singer of the 1947 Speech Night program was solved. It was not the great Donald Smith of the opera stage, but a very competent Donald Smith of Year 11 that year. The ‘Back-to’Lunch for 2018 is set for 5 June at Preston TAFE Campus in the restaurant. Cost $25. Guest Speaker is ex-student, Associate Professor Alex Lopata (1955) a medical researcher. It was hoped to hold the lunch at the school, but building works make that impossible. Perhaps next year? Do come along and meet the new Principal, Sue Harrap. If you have not received an invite in the mail please contact Kate Challis. Bring an old class mate. Mathematics Teacher of the 1960s, Rod Watson, has informed the School of the passing of Brian John Chatterton Taylor, whom Rod describes as ‘fine teacher of English’ at NHS in the 1960s. Vale Brian. We extend sincere condolences to Brian’s family. Speech Night 1947. This interesting document has turned up for the archives and was George Stirling’s personal copy. Guests of Honour were Sir Edmund and Lady Mary Herring. What is most intriguing is a musical item, The Last Rose of Summer, sung by a DONAL SMITH who is not noted as a student. Could it be that Music Director Stuart Wilkie, with his extensive contacts in the musical world, invited this budding young tenor to the School? Donald went on to be one of Australia’s and the world’s greatest operatic tenors. Awards go to Warren Bartlett (Year 6), Bruce Campbell (Year 5), Norm Wearne (Year 3) etc. Can anyone remember this event and cast light on the singer? Established in 1926, our school has a rich history. Our notable international student alumni.